At The Shade Store, we do so much more than simply create custom window treatments in the right size for your windows. 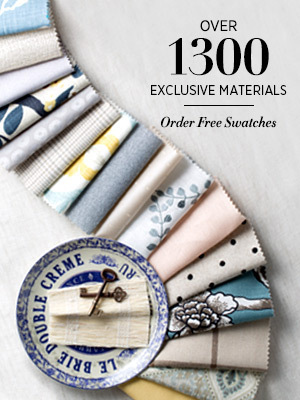 With our curated collection of 1,000+ materials, multiple types of linings, and easy to use control options, there are so many ways to upgrade your shades and drapes into the perfect expression of your style. Whether you want to make a statement with a bold accent color or turn your windows into pieces of art, decorative borders can instantly elevate the “wow” factor of your shades and drapes. The skilled craftsmen in our workrooms can add borders of varying widths in contrasting colors to certain types of shades and styles of drapes. 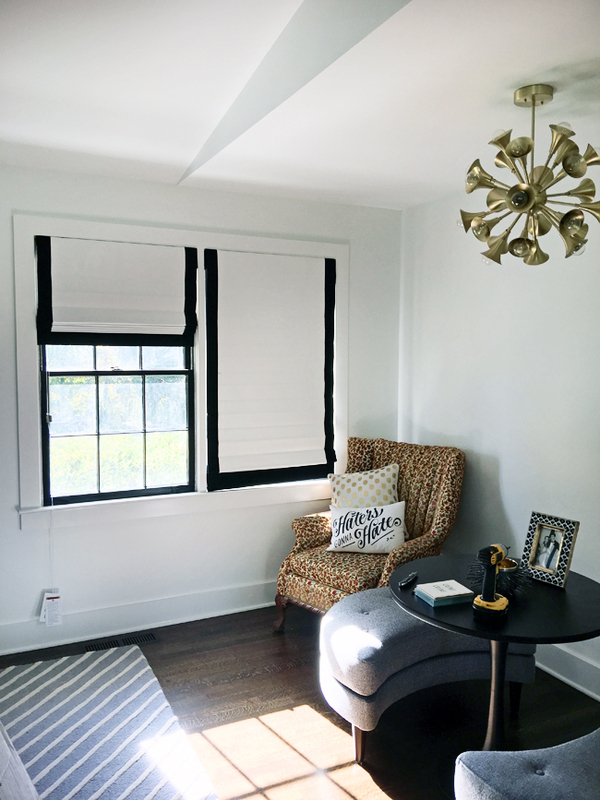 Kristin Jackson of Hunted Interior opted for Flat Roman Shades in White Cotton with a graphic 2½ “ border of Noir Cotton to finish off the living room that she redesigned for the One Room Challenge Fall 2016. The shades are a gorgeous complement to the white black and white trim, and transform the windows from forgettable to phenomenal. Flat Roman Shades. Photo and design by Kristin Jackson, Hunted Interior. Cornices and Valances sit at the top of the window treatment, adding style and additional light blockage if room darkening is a priority. Cornices can be added to any custom window treatment, while Valances are an optional element of certain Roller, Solar, Roman, and Woven Wood Shade styles. Cornices and Valances allow you to hide the window treatment hardware (in the case of Roller Shades), add different colors to accompany the main treatment’s material, or they can even stand alone as a decorative accent for windows where treatments aren’t needed. 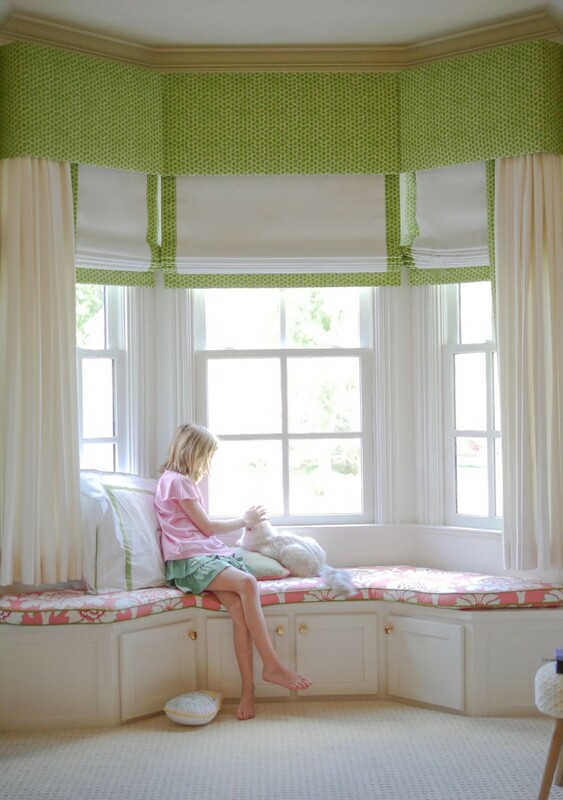 When Kelly Page, also known as bluegraygal, was redesigning her daughter’s room, she dressed up the bay window with Flat Roman Shades and Cornices made of the Echo Designs Dotkat material. The Cornices block light seepage at the top of the windows and add color and visual interest without feeling overwhelming. Flat Roman Shades, Cornices, Pinch Pleat Drapery. Photo and design by Kelly Page, bluegraygal. For Roman Shades and Drapery, we offer four different lining options: Unlined, Privacy, Blackout or Privacy+Interlining. Linings are fabrics sewn to the back of your window treatment that add weight to the material, increased UV protection, increased insulation, and light blockage. 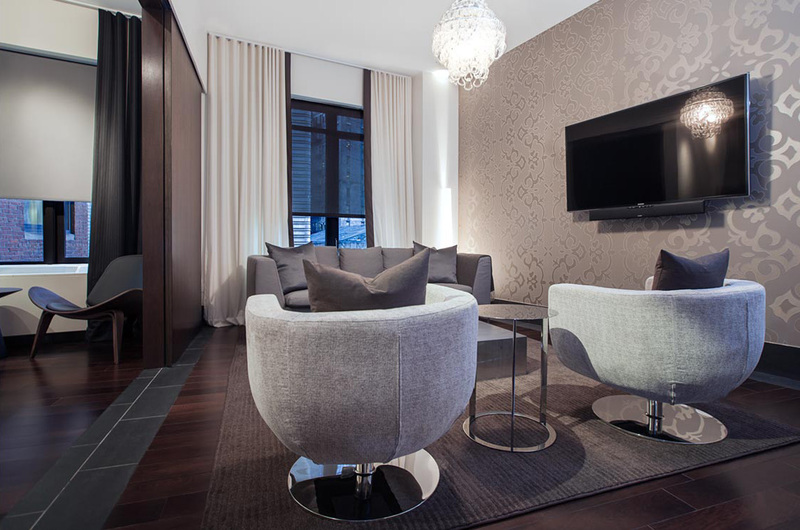 Blackout linings are ideal for bedrooms where a dark environment is desired. Privacy lining is a little lighter, and adds body while protecting the material from fading. Privacy+Interlining is the heaviest lining, and includes the standard Privacy lining plus a layer of cotton flannel. Customize your shade or drapes with the right lining for you and they’ll provide both function and beauty. One final element you can choose to upgrade your treatments involves the control type. For certain widths of shades, drapes, and blinds, you can opt for Cordless control. Our Cordless Collection has been certified Best for Kids, and works great in homes with small children. For completely hands-off control, try the Motorization Made Simple™ Collection. Open and close your window treatments at the touch of a button with our powerful, quiet motors and battery or plug-in options. You can even set a timer to automatically operate your shades at a specified time. 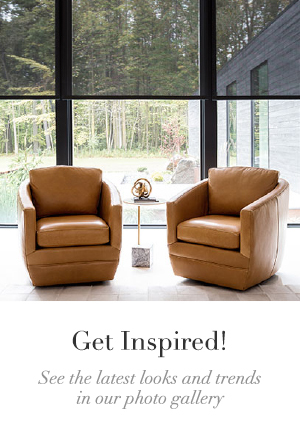 We highly recommend visiting one of our nationwide showrooms where you can see all of our various customizations in person. 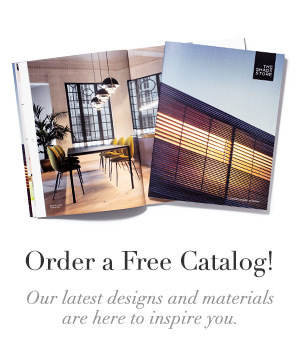 See the styles, browse our drawers of material swatches, and even play with the motorized shade remotes in the showroom. Our expert Design Consultants will help you narrow down your choices and design the ideal window treatment to fit your interior design. We’re always available to chat and answer questions by phone and email, too.